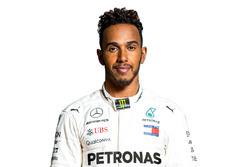 Formula 1 world championship leader Lewis Hamilton believes the Red Bull cars are "in a league of their own" at the Mexican Grand Prix. 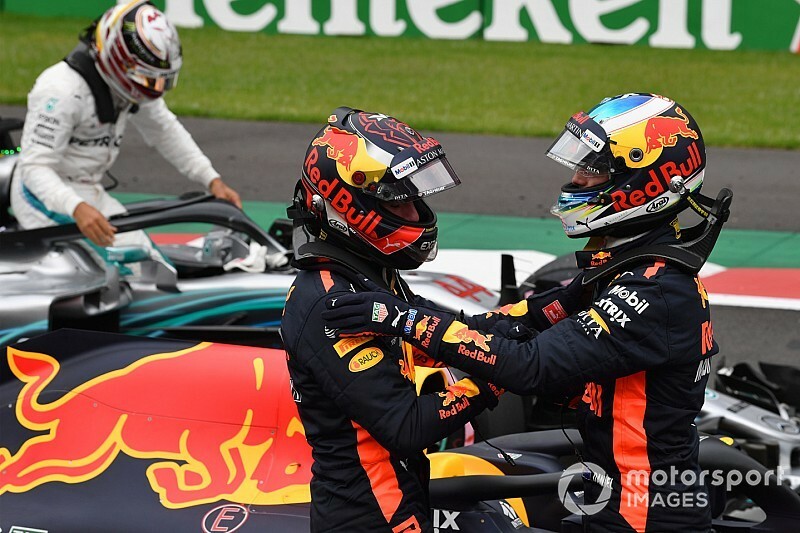 Though Red Bull filled the Mexico City front row with Daniel Ricciardo and Max Verstappen, the substantial advantage it held in Friday practice was reduced on Saturday - with third-placed Hamilton within 0.135 seconds of the top spot and Sebastian Vettel's Ferrari a further 0.076s back. But Hamilton insisted the Austrian team's cars had still been out of reach in the pole shoot-out. "Congratulations to Daniel. These guys were just too quick, in a league of their own in general up to qualifying and even in qualifying, his middle sector, there was no way I could get that," he said. "To be as close as I am, I'm really quite happy with that. To be third is not a bad start." Asked whether he thought he would have the pace to beat the Red Bulls on Sunday, he replied: "I don't think so." "This is a great day for us, considering how bad yesterday was for us," said Hamilton after qualifying. "It's a night and day difference. Yesterday we were really struggling. FP1 was OK. But then once we got to FP2, it was not fun to drive that's for sure. "There were several different problems on the whole car. On the technical side, on the aero side, mostly on the mechanical side but a little bit aero and on the engine side. "Big changes were made overnight and to come back here today and put ourselves in contention - we didn't think yesterday with that performance we'd be able to qualify on an ultra[soft]. "That would have been a massive disadvantage for us if we hadn't been able to start on the purple tomorrow and had started on the hyper for example. "As soon as we got into qualifying, we knew straight away with the way the car was feeling, I was like 'OK we're in a much stronger position to fight for positions'. "I'm just glad that I was able to do the job on my second run. It was pretty good." 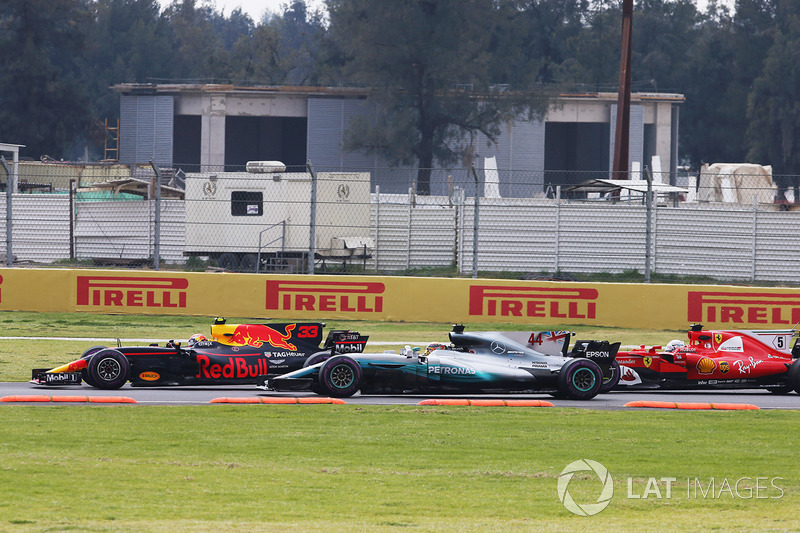 Last year Verstappen, Hamilton and Vettel made contact through Mexico City's tight first corner complex, but despite the championship position and qualifying outcome Hamilton said he would try to race normally at this season's start. "Does it mean I have to play safe at the beginning of the race? Not really," he said. "The thing is, everyone's going to be barrelling into Turn 1 to gain places. "So it's a very, very fine line. If you go easy, you can get hit. If you go too aggressive, you can get hit. You've got to race it like normal."